American fight fans will be treated to a world championship doubleheader edition of Breakfast and Boxing on Sunday, Dec. 30 from the historic Ota City General Gymnasium in Tokyo. In the main event, WBO junior lightweight world champion Masayuki Ito will make his first title defense against the unbeaten Evgeny Chuprakov. The action begins at 5:00 a.m. ET on ESPN+ — the new multi-sport, direct-to-consumer subscription streaming service from The Walt Disney Company’s Direct-to-Consumer & International segment in conjunction with ESPN. The Ito-Chuprakov main event is expected to begin at roughly 6:20 a.m. ET. 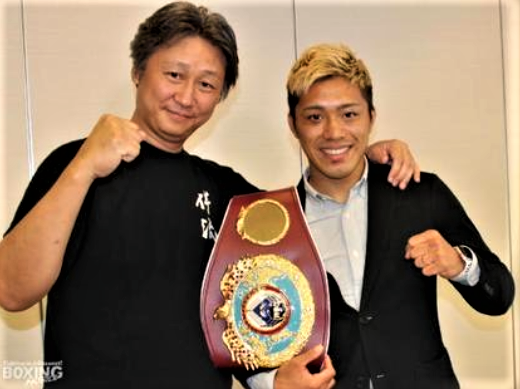 Ito (24-1-1, 12 KOs) captured the vacant WBO junior lightweight world title on July 28 in Kissimmee, Fla., going on the road as a sizable underdog and defeating Christopher “Pitufo” Diaz by unanimous decision. Ito, a Tokyo native, is no stranger to fighting in his home city. Prior to the Diaz fight, all of his pro bouts had taken place in Tokyo. Chuprakov (20-0, 10 KOs), a native of Ekaterinburg, Russia, has gone 10 or more rounds in four of his past six bouts. In his last outing, July 14 in Ekaterinburg, he scored a 10-round unanimous decision against Ernie Sanchez.